A band of 9,000 pro-Union Native Americans was forced to flee to Kansas in bitter cold and snow in what became known as the Trail of Blood on the Ice. Confederate troops had undertaken a campaign to subdue the Native American Union sympathizers in Indian Territory and consolidate control. 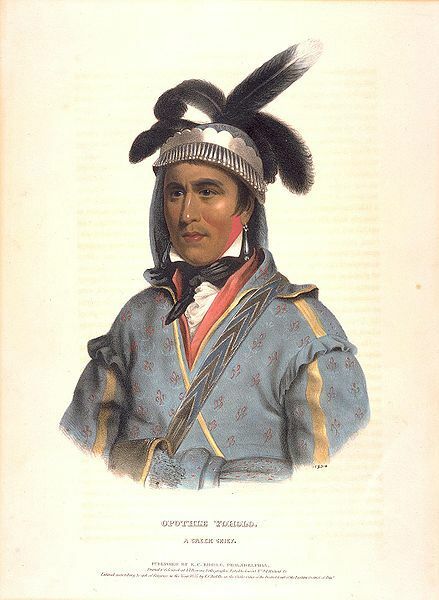 They had attacked Chief Opothleyahola's band of Creeks and Seminoles (led by Chief Halek Tustenuggee) earlier at Round Mountain and Chusto-Talasah. Now, they wanted to finish them off by assaulting them in their camp at Chustenahlah (Cherokee for "a shoal in a stream") in a well-protected cove on Battle Creek. Colonel James M. McIntosh and Col. Douglas H. Cooper, commanding the Indian Department, planned a combined attack with each of their columns moving on the camp from different directions. McIntosh left Fort Gibson on December 22, with 1,380 men. On December 25, he was informed that Cooper’s force could not join him for a while, but he decided to attack the next day, despite being outnumbered and severe cold weather conditions. 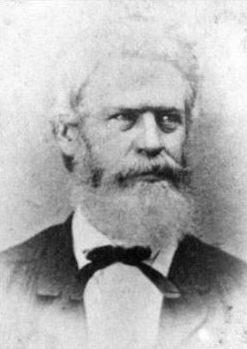 McIntosh assaulted the camp at noon. The 1,700 pro-Union defenders were secluded in the underbrush along the slope of a rugged hill. McIntosh devised a plan to converge on the crest, with the South Kansas-Texas Cavalry (also known as the 3rd Texas) ordered to charge directly up the steep bluff on foot. The 11th Texas advanced to their left using a defile for concealment, while the 6th Texas circled to the right. As the Confederate attack progressed, the Native Americans began to fall back, taking cover for a while and then moving back. The retreat became a rout as the Federals reached their camp. The Indians attempted to make a stand there but were forced away again by 4:00 p.m. The survivors fled; many went all the way to Kansas where they found loyal Unionists. Three hundred Cherokees under Col. Stand Watie intercepted the fleeing Creeks and Seminoles, killing 15 of them. Chief Opothleyahola’s band mounted no further resistance, and nearly 2,000 of them died on or shortly after the trek to Fort Row, Kansas, mostly due to exposure and disease. The victorious Confederates captured 160 women and children, 20 blacks, 30 wagons, 70 yoke of oxen, about 500 Indian horses, several hundred head of cattle, 100 sheep, and large quantities of supplies. Casualties were 9 killed and 40 wounded for the Confederates. Col. McIntosh in his official report estimated the Indians' loss as 250.